We know how much an extensive setup, great service and seamless flow of events can make a difference and distinguish a successful event. At Berjaya Waterfront Hotel, Johor Bahru, we take great pride and care in giving our best to impress your audiences. Planning showcases, exhibitions, product launches and events of all sorts with us are now even more rewarding! Explore our Johor Bahru event packages at great value you will love. 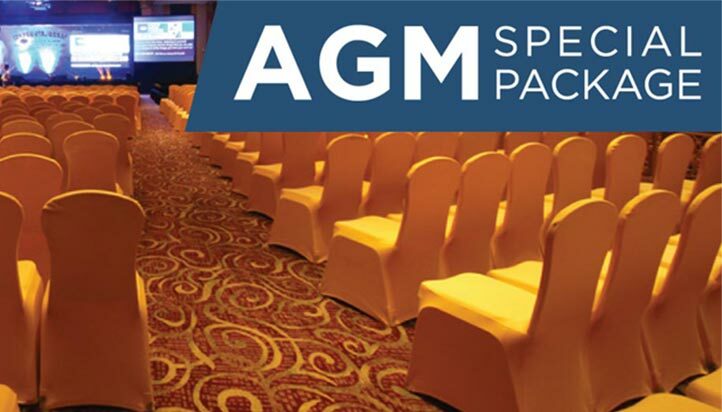 Organize a successful events with our AGM special package.